If Owen Chase can't find a way to turn his company around in the next nine days, he'll be forced to shut it down and lay off all of his employees. He has incurred substantial debt and his marriage is on shaky ground. Through pure happenstance, Owen finds himself pondering this problem while advancing steadily as a contestant at the World Series of Poker. His Las Vegas path quickly introduces him to Samantha, a beautiful and mysterious mentor with a revolutionary approach to entrepreneurship. Sam is a fountain of knowledge that may save his company, but her sexual advances might prove too much for Owen's struggling marriage. 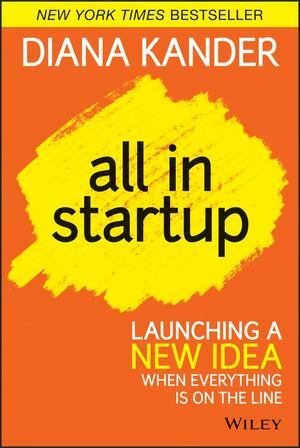 All In Startup is more than just a novel about eschewing temptation and fighting to save a company. It is a lifeline for entrepreneurs who are thinking about launching a new idea or for those who have already started but can't seem to generate the traction they were expecting. Entrepreneurs who achieve success in the new economy do so using a new "scientific method" of innovation. All In Startup demonstrates why four counterintuitive principles separate successful entrepreneurs from the wanna-preneurs who bounce from idea to idea, unable to generate real revenue. You will likely get only one opportunity in your life to go "all in" in on an idea: to quit your job, talk your spouse into letting you drain the savings account, and follow your dream. All In Startup will prepare you for that "all in" momentnbsp;and make sure that you push your chips into the middle only when the odds are in your favor. This book holds the keys to significantly de-risking your idea so that your success appears almost lucky. Join Owen and Sam for this one-of-a-kind journey that will set you on the right path for when it's your turn to put everything on the line.